The years from the 1920s to the 1940s marked a period of stability with industrial and economic development in Yilan. Growth was especially remarkable in Xinan district. With the Atayal problem resolved, the colonialist government was free to put full effort into exploiting the natural resources of the mountains and forests. Following the camphor manufacturing industry, logging and forestry on Taiping Mountain were vital. Beginning from 1917, the Tainan sugar manufacturing company and the Taiwan paper industry were subsequently established, forming an industrial zone in what was to be the modern day Erjie district of Wujie Township. In 1921, the Taiwan Electric company was established, which now operates the Tiansongpi power plant in modern-day Sanxing Township. 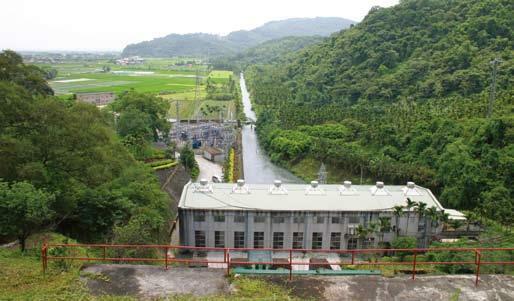 A network for supplying electric power was laid out, providing for the needs of various industries within the county and thus becoming the most important denominator of the industrial zone in Yilan. In 1924, the Taiwan governor relocated the office of forest management to Luodong. The streets of Luodong flourished amidst the wood industry and became the economic center of Yilan County. In the same year, the railway system in Yilan began operation and solved transportation problems stemming from Yilan's geographical inaccessibility. The significance of such an event is on par with Wu Sha's developing the Kavalan. In 1920, local autonomy which had a budget and personnel quota was implemented. At the same time, Yilan subprefecture of the Qing Dynasty was divided into the Yilan, Luodong and Su'ao districts under Japanese colonial rule. With economic development and widespread education, the people of Taiwan began participating in various activities opposing Japanese rule during in the Taisho period (1912-1926). The Association for Taiwanese Culture, which was lead by Jiang Weishui, and the People's Party of Taiwan both exerted profound influences in the cultural awakening of the Taiwanese people. In order to win the hearts and minds of the Taiwanese people, the Japanese authority was obliged to lift certain restrictions in the participation of their colonial subjects in the political arena. In October of 1935, new laws pertaining to local political institution were implemented, ensuring the electoral system. According to these laws, assembly legislators in local parliaments are partly appointed by the authorities and partly elected by the people in equal measures. It was the first local election in Taiwan's history, opening a new chapter in the political participation of the Taiwanese people. The people of Yilan thus began to realize how their ideas had the potential to influence society. Following the Marco Polo Bridge Incident in 1937, a full-scale war erupted between China and Japan. The Taiwanese people were mobilized in support of Japan's war effort after the sneak attack on Pearl Harbor. The colonialist government pushed for the imperialization of their subjects – on the one hand mandating the Japanization of the Taiwan people, including name changes, the spoken language, and religious beliefs, and on the other hand handing out favors. During the last five years of Japanese rule, the Lanyang Girls' Senior High School, the Yilan Junior High School, and the Luodong Girls' Agricultural School were established. However, the war had inevitably become a lost cause for the Japanese. In a last-ditch effort to turn the tides of decline, the Japanese poured all available resources into the war, mobilizing every corner of Taiwanese society. In 1945, American forces began bombing Taiwan. Normal everyday lives of Yilan's people were completely disrupted as evacuations and the obtaining of rationed commodities became daily constraints. The Japanese surrendered unconditionally on the 15th of August.